Come on a virtual field-trip to the Vancouver Biennale Open Air Museum for an inquiry learning session. We will show you how to bring this artistic learning experience back to the classroom and incorporate into curriculum across different subject areas. 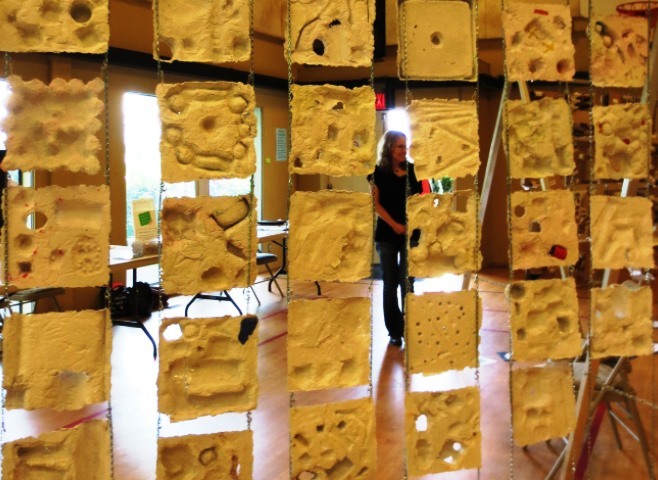 Amelia Epp will facilitate an art making session using paper as part of the curriculum inquiry process. Watch a short video of selected past projects inspired by Vancouver Biennale public art and find out how to apply for next year’s BIG IDEAS Education Program matching project. Register Online. Presented by Vancouver Biennale BIG IDEAS Education. The Vancouver Biennale is committed to building a legacy of education and social action through art. Our award-winning BIG IDEAS Education program uses art featured in the exhibition as an inspiration to transformative learning. To date, Biennale art installations have inspired over 5,800 students from 72 schools across 9 school districts in their learning and growth into mindful, globally conscious young adults.